Explore Toulouse with a guide on a 2.5-hour historical walking tour and learn about the city’s long history. Tour the left bank of the Garonne River and learn about significant landmarks as you admire historical architecture. Visit the Hospital des Graves where you see the Dome and Hospice, and walk through the Raymond VI Gardens to see a Roman fortress wall and tower. 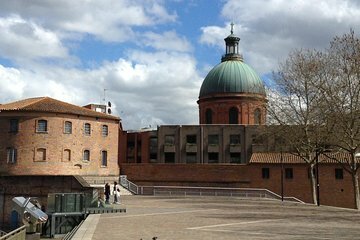 This tour is ideal for visitors wanting to go deeper into Toulouse’s fascinating history while spending time outside exploring.